Litigation is risky, complex, detailed and consuming. The road to resolving a dispute may be long and arduous, or quick and smooth. These considerations matter because your choice of a litigation firm will affect the outcome of your case. Do not trust your case with a lawyer who merely dabbles in litigation. 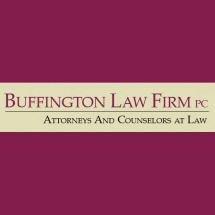 Choose Buffington Law Firm, PC, a California firm devoted entirely to intensive litigation across a variety of practice areas — business, real estate and wills/trusts. We are good at what we do, and we have been recognized for our exceptional litigation services across Orange County since 1998. We are not a big firm that drives up costs and counts clients as just another file. We are smaller, more involved and better able to deliver premium services at reasonable rates. What sets us apart is not only our extensive litigation experience, but also our backgrounds in business and finance. We understand firsthand the issues, struggles and complexities that challenge many of our clients. Founder Roger J. Buffington is a licensed CPA, has his MBA and has experience as a corporate executive. Kaden Kennedy's experience includes significant trial and negotiation work in commercial, real estate, and trust and estate disputes. Jessica DeMarco has an MBA and significant experience in the business arena. Our team approach has led to our success. Every member of our knowledgeable team is apprised of each case. If one attorney is unavailable to discuss your question or concern, someone will be. We speak directly to clients about their cases and are completely involved in a hands-on way from start to finish. We evaluate cases accurately and take action to fashion strategies and solutions to further your interests.